Rich in botanicals this collection will combat hair thinning, encourage hair growth and add density. Clinically proven range specifically designed to eliminate even the most rebellious dandruff and prevent reoccurrence. Using the finest botanical ingredients, phyto has the perfect solution to soothe sensitive and itchy scalps. Treat and care for your hair and scalp with a range to suit all-purpose hair requirements day and night. A unique range to cover all your styling requirements to ensure perfect style using natural and botanical ingredients. Rich in botanical ingredients. PHYTO’s best selling products help restore hydration, radiance, suppleness and shine to your hair. Reach new heights with our volume boosting range which will create long lasting volume and body to fine, limp hair. Award winning range to tame unruly and rebellious hair. Smoother, controlled hair in all weather conditions for up to 72 hours. 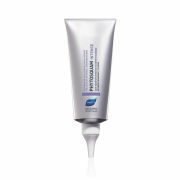 A highly effective range for long-lasting color protection and increased radiance. PHYTO combines botanical expertise with advanced science to offer a comprehensive collection of natural and proven effective products that cover every hair care need. Listen to how Roman gets on with our brand NEW ANTI-DANDRUFF range PHYTOSQUAM! Luxurious gift sets for him or her! Cleanse and purify your scalp for healthier hair. 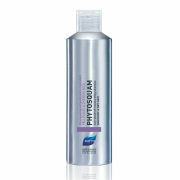 PHYTO’s best seller to promote healthy hair growth, strengthen nails, illuminate skin, and fortify lashes. A high performance sun range to protect and nourish your hair during and after sun exposure. PHYTO is the result of Patrick Alès, one of Paris' legendary hair stylists, and his efforts to create a range of highly concentrated plant-based solutions that would safely and effectively reveal beautiful, healthy hair. Fascinated by nature he decided to study the power of plants, their history of use in traditional medicine and the role they might play to bring out hair's natural beauty.